Just few hours after Israel announced on Monday a deal with the UN refugee agency to allow over 16,000 African migrants to stay temporarily in Israel and to send 16,000 other African migrants to Western countries, Israeli Prime Minister Benjamin Netanyahu rescinded the agreement, saying he was suspending it for the time being. The Western countries that were to receive the migrants were Canada, Germany, Italy, and the USA. 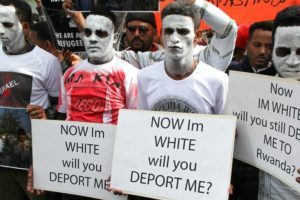 The deal with the UN refugee agency was reached following an Israeli controversial plan announced earlier this year to deport African migrants who entered Israel illegally, giving them a choice between leaving voluntarily or facing indefinite imprisonment with eventual forced expulsion. 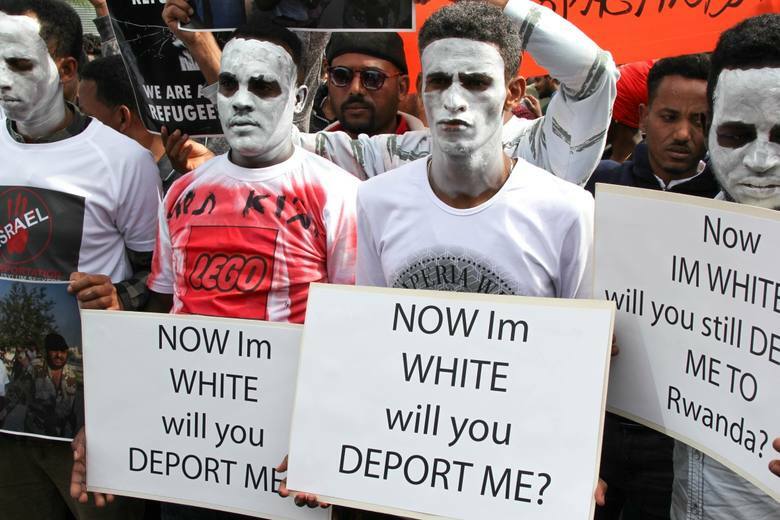 The plan did not work as Israel’s Supreme Court had blocked the deportations and as Rwanda and Uganda had said they would not accept those deported against their will. some 16,250 African migrants, many of them seeking asylum, would have been resettled in Western nations. According to Israeli interior ministry figures, there are currently some 42,000 African migrants in Israel, half of them children, women or men with families, who were not facing immediate deportation. Most of them entered from Egypt several years ago, before a new fence was built along the desert border. Posted by KanelkaTagba on Apr 3 2018. Filed under Headlines, World News. You can follow any responses to this entry through the RSS 2.0. Both comments and pings are currently closed.